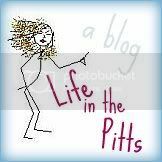 Life in the Pitts: I could snap at any moment. You're a better person than I am. I have very little patience when people call me stupid. It ticks me off. Where do you work that you know the code of the American flag so well? "you're having a tough day? i was in korea! i'm havin' a tough life!" -dane cook. that came to my mind. i don't know. it's kinda about a vet. haha. but way to go not calling out the old dude! I work for the National flag Foundation. We actually interpret the flag code, so I should be used to this. Veterans can get really mean when they realize that their version of the flag code isn't actually the law. I would have said the senile part. Seriously. But then I usually say things I shouldn't. Whoopsy. I work for the Veteran's Hospital and let's just be real here. They can get mean over a lot of things. They can also be extraordinarily cute sometimes, too. I am so freaking professional, I didn't even drop my nice voice. ...I'm kind of ashamed of that. If he'd called me stupid, the "sufficient lighting" might've come from the fire he'd be on from the flamethrowers coming from my eyes. It's bad enough when people ACT like they think you're stupid...but saying it aloud? Holy.freaking.cow. People think they earn the right to say nasty things to others. Good for you for keeping it professional. In the long run you'll appreciate that about yourself! Seriously? "Yes it does, stupid?" Dude gives a bad name to the respect your elders thing, I guess. WOW!! I guess Veteran's Day was a rough one for him. He wants things done right and how he wants them. You no nothing :) Totally stinks--stick ur finger up his nose for sure. He only wanted what he saw as respect for the flag. A respect he probably fought for at some point in his life. A flag to him, is sacred. And although I love your blog, on this, I dont agree. We need to respect these people, they are what we stand on. So maybe he wasnt technically correct, to him, respecting the flag is what it was about, not proving you right or wrong. Sorry, I usually love what you write. On this we will disagree though. Great thing about America right!? He lost my respect when he called me stupid. I'm used to veterans being upset when they realize how vague the flag code actually is. However, I most of them have enough class not to start attacking me. That is not ok.
Ugh, I have a noisy, judgmental neighbor just like that. He's retired and has nothing better to do that criticize everything we do. From how long our grass is, to how short I cut my hair.